Jetpac hosted The Moth at the end of January for a storytelling workshop! 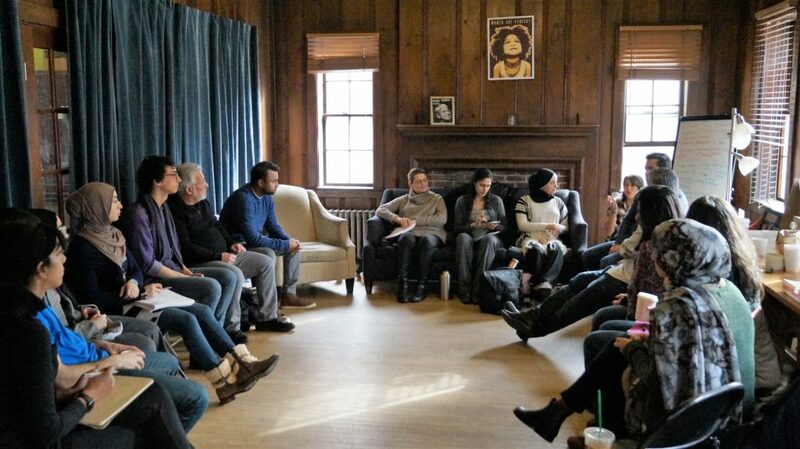 15 American Muslims from the Greater Boston Area participated in this opportunity to refine their storytelling skills and present their stories to invited guests. The Moth is a nonprofit organization based in NYC that specializes in the art and science of storytelling. As a community partner, Jetpac was honored to be joined by three of The Moth’s instructors who led the workshop over two days at the end of January. After an intense weekend of story drafting that often had participants tearing up as they empathized with their fellow storytellers, guests were invited to a final sharing session—where each of the 15 participants told their story. This was an amazing opportunity, and we hope everyone who participated takes this skill to share their life experiences with the world. And maybe some of our American Muslim stories will feature on The Moth podcast in the coming months.